When Google Drive dropped the prices for their cloud storage it is has become an excellent option to store your online backup. Google Drive might not be as cheap as using a service such as Amazon Glacier, but it has several advantages over Amazon Glacier that makes it worth looking at. First, Google Drive storage pricing is easy to understand. No complicated formula needed to figure out how much it will cost. Restoring data is also fast, no 4 to 5 hour wait before your data is even able to be downloaded. No need to be an computer genius to setup a storage vault, you can use your regular Google Account that offers 15GB of free storage and if you need more space simply purchase the 100GB or 1TB plan as needed. If you already have a Google account (is there anyone that does not have a Google account) you will need to create one. If you already have one you will need to be able to login. If you have two factor authentication turned on you will probably want to use an application specific password for the backup software to use or it will fail logging in. You can easily use the 15GB of free storage Google gives you to test this and purchase more storage once you know it is working. If you are going to backup your data to Google Drive you want to make sure it is well encrypted and have to process automated as much as possible. Using Duplicati as your backup client provides you with both, strong encryption and a relatively easy to use client to manage your backups and restores. Steve Gibson, of Security Now gave Duplicati his “Trust No One” seal of approval in episode #367 on August 29, 2012. Now, the one I’m impressed by is called Duplicati.com. It is over on code.google.com, so open source, being run by a couple guys. And I’m, well, let me just tell you what it does. It is a very flexible general-purpose TNO encryption backup solution that is completely oriented toward cloud usage. It is Windows, Mac, and Linux, so all three major platforms. The client runs on Windows, Mac and Linux so people on all platforms can take advantage of this. It can also backup to Amazon S3, Microsoft’s OneDrive, Google Drive/Google Docs, Rackspace Cloud Files, WebDAV servers and even FTP and SFTP servers so you have a lot of options. When I went to install on my Windows test machine I was told I needed to install Microsoft .NET Framework. I downloaded that from Microsoft and installed it to continue setting up Duplicati. If you have problems with Duplicati or want software that is maintained and updated a little more frequently I suggest taking at look at CloudBerry Desktop Backup. 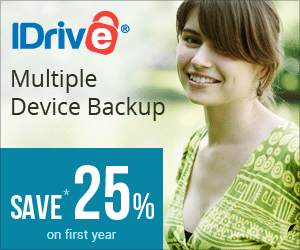 It is only $29.99 last time I checked and they have added the ability to backup to Google Drive. There are two downsides to this option though. One it is for Windows only and two, and this is a major one, it DOES NOT encrypt data before sending it up to Google Drive. You would need to encrypt your data before uploading it. This is contrary to what the CloudBerry Labs website says. While the CloudBerry Desktop Backup does encrypt before uploading to Amazon S3 and most other cloud storage services, it IS NOT available for Google Drive. Hopefully this will be changed soon! Once you have Duplicati installed it will start the backup wizard. You can select the files you want to backup and the destination. To backup to your Google Drive account simply select the Google Docs option. You can enter your login and a folder to store your backups in. If you have the Google Drive desktop client installed you will probably not want to sync that folder, but that is up to you. Once you have setup your backup and destination Duplicati can run your first backup. Upload Troubleshooting – If you have trouble uploading your backup to Google Drive, as I did in my testing, try setting the volume size to a smaller settings. I finally set the volume size down to only 2MB and Duplicati had no problem uploading. Knowing that your files are safely backed up to your Google Drive storage and safely encrypted so no one else can read then. Using Google Drive storage as a backup using Duplicati is a great way to backup your files and is easier than using Amazon Glacier. Compared to Amazon Glacier you can access your backup and restore quicker. Google Drive offers inexpensive storage and by using a tool like Duplicati you can ensure your files are safely encrypted from prying eyes. The downside of using a tool like Duplicati is your files are not easily accessible for access because they are encrypted. If you want to use your Google Drive cloud storage more as cloud storage with easy access you would need to upload your files either without encryption or use tools like Viivo or Boxcryptor. It really depends on what you need. You can easily use part of your Google Drive storage for backup and part for easy access cloud storage. While Google Drive storage has come down in price the need to use another tool to backup to that storage and to safely encrypt your files is a little more work. This makes services like Backblaze, CrashPlan and many of our top cloud backup services excellent options because of the ease of use of their services. However, if you are only wanting to pay for one cloud storage service and still take advantage of it to store your cloud backup as well Google Drive storage could fill your need. I had to set the volume size to 2MB to get the files to upload. Just to clarify, Cloudberry does use encryption to transfer the data to Google drive where it will be heavily encrypted, it just does not use file level encrption. Thanks for that clarification. It would be great if Cloudberry did have the file level encryption as well. I couldn’t get Duplicati to work so I tried Cloudberry. Unfortunately that doesn’t encrypt files uploaded to Google drive. They say they do on the website but they don’t. This is a big downside to Cloudberry/GDrive! Thanks for pointing that out Joe. That is what I get for trusting the sales/marketing department. I have updated the post and hopefully they do get encryption included with Google Drive. Very disappointing considering how their website sure implies that encryption is available for Google Drive as well as all the other cloud storage services they support. this sounds too good to be true with the new quota from Google Drive for Google Business users (10TG) per account. I tried to install just as describe above. After a while I got it to work once. Now it does not work. That seems to be a known issue (https://code.google.com/p/duplicati/issues/detail?can=2&start=0&num=100&q=&colspec=ID%20Type%20Status%20Priority%20Milestone%20Owner%20Summary%20Modified%20Stars&groupby=&sort=&id=770) for some Google Drive Users. So if you are lucky, Duplicati works just fine. If not, there seems to be no way to get it working. I never had the problem when I set this up. There are some other clients that can backup to Google Drive but the ones I am thinking of like CloudBerry are all purchase only.